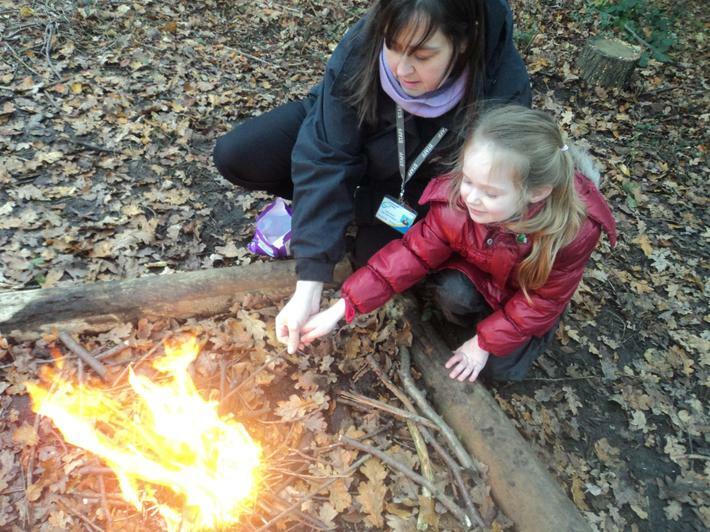 At our school and children's centre we have staff who are fully qualified Level 3 Forest School Leaders. 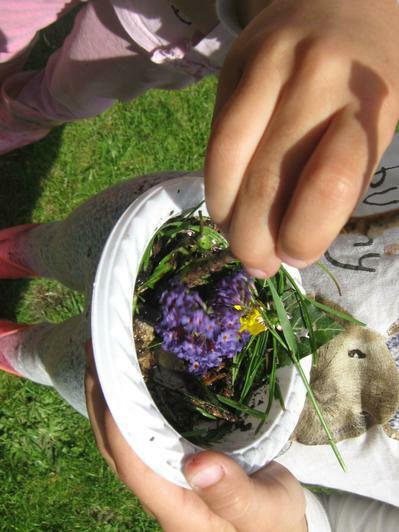 Their course involved practical skills sessions, written work and assessment which now enables them to deliver inspirational Forest School sessions to children in natural outdoor environments within the school grounds. 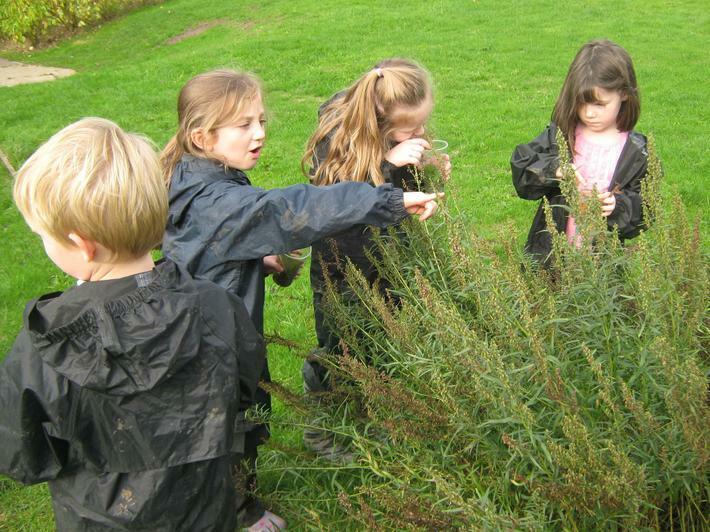 Forest School is an outdoor education in which children are given opportunities to learn and be inspired by the natural environment through hands on experience. 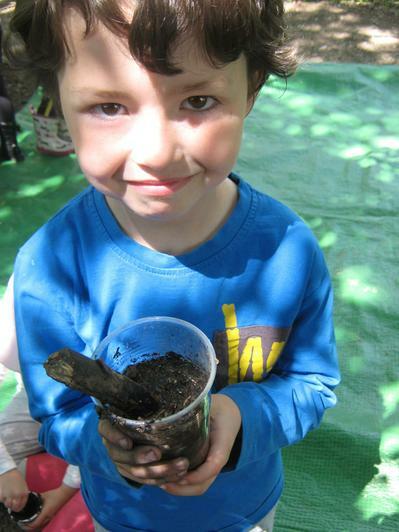 During forest school sessions children are encouraged and supported in activities that focus on raising self -esteem and Independence; this is achieved by allowing children freedom to explore, investigate and discover what the natural environment has to offer. Each Forest School session is planned and linked to the National Curriculum to ensure children continue to access vital areas of learning. 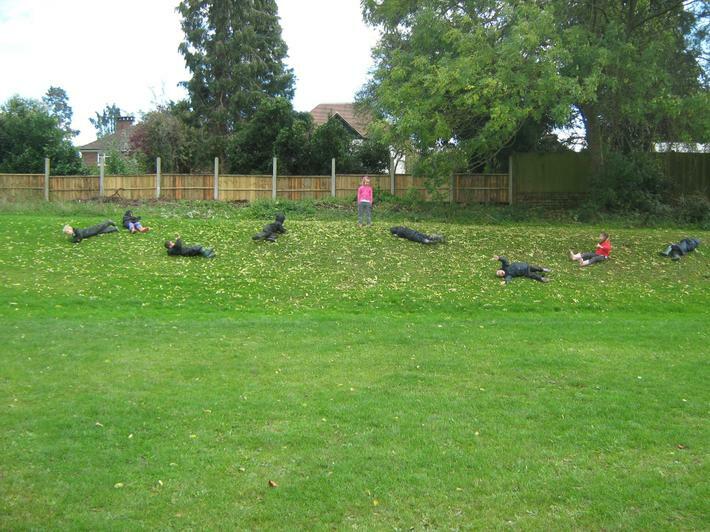 Class teachers will meet with Forest School staff to talk about how forest school can enhance the national curriculum. 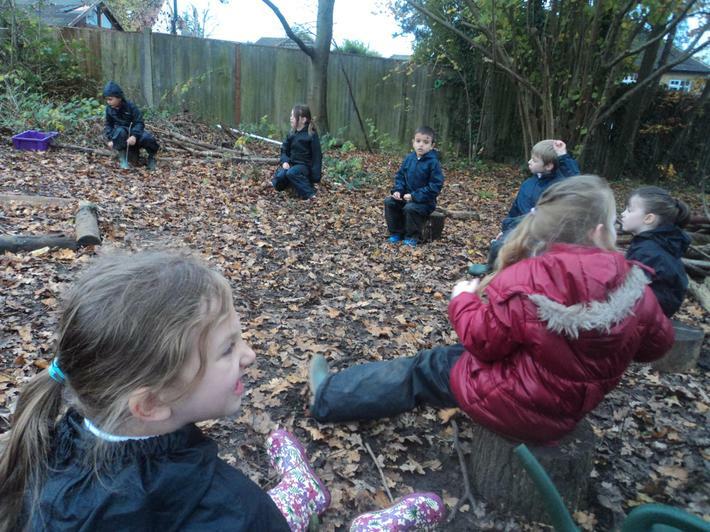 Recently Y1 and Y2 have been learning about what animals need to survive and they have had some exciting forest school lessons linked to this. 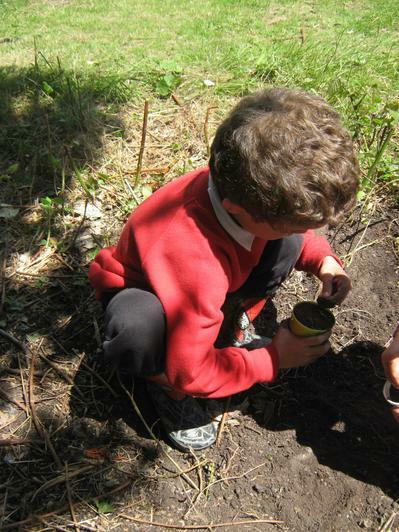 Forest School can also be run as an intervention for small groups of children. 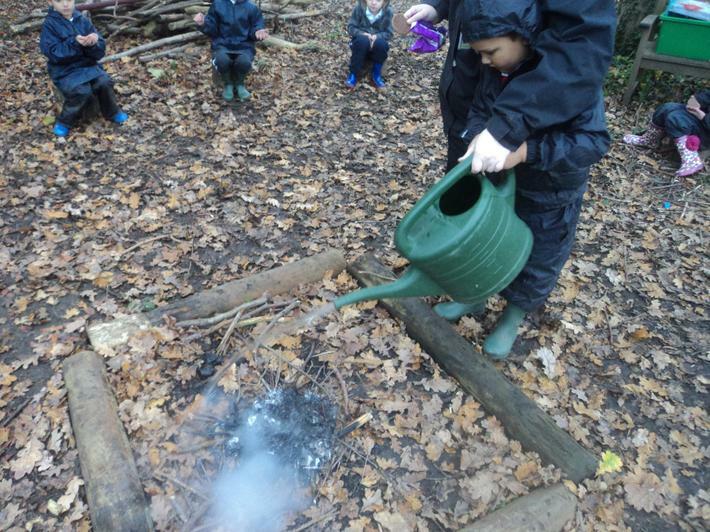 At Forest School rain is good! Some of our sessions have been spent with children jumping in puddles and rolling in mud, therefore right clothing is crucial! 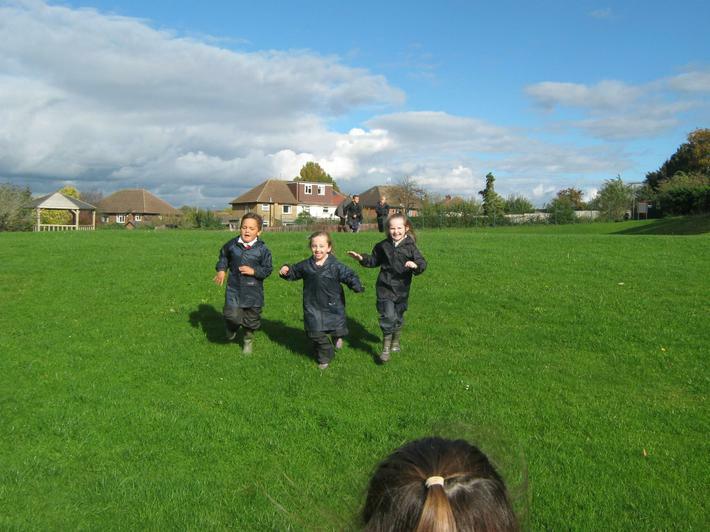 Waterproofs, suitable footwear (walking boots or wellingtons) and warm clothing are essential to ensure your child is able to participate fully regardless of the weather!! 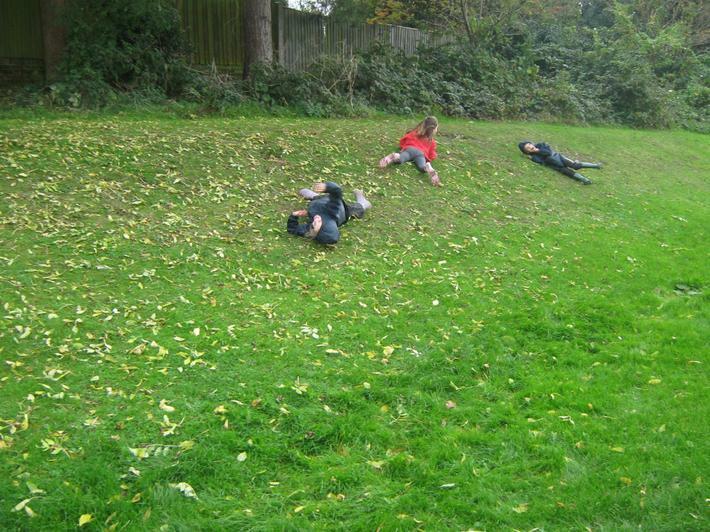 Only in severe weather such as storms or strong winds will a Forest School session be cancelled. Will my child get muddy? 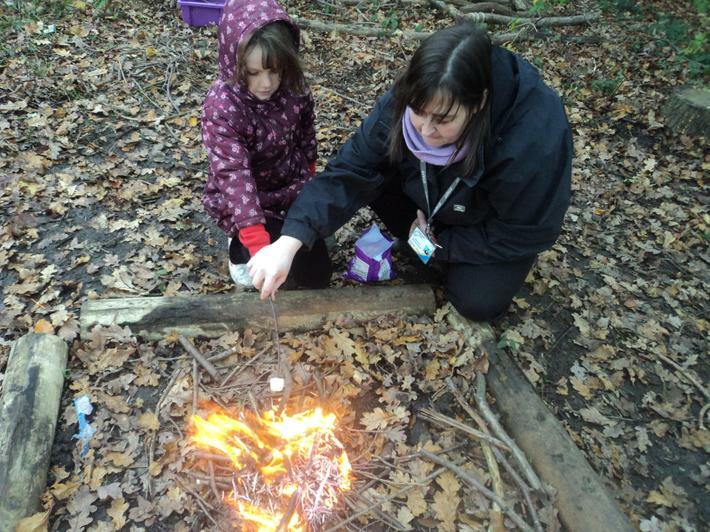 At Forest school safety is paramount. 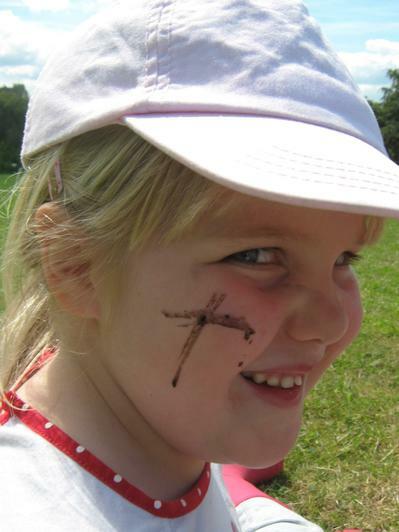 Forest school is run by fully qualified and first aid trained staff who have safety procedures and policies in place to ensure all risks are recognised and reduced. Staff are equipped with an emergency kit bag for every session. 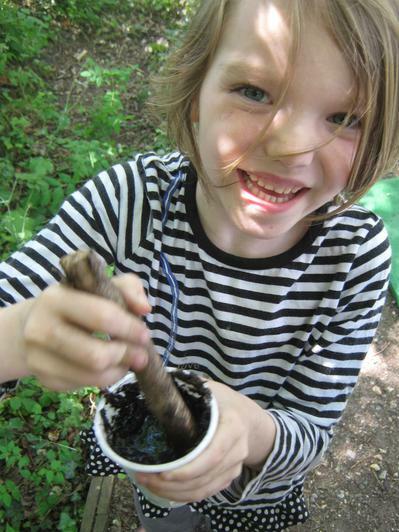 Forest School sessions are delivered in a way in which they are inclusive and accessible to all regardless of a child's needs or abilities. 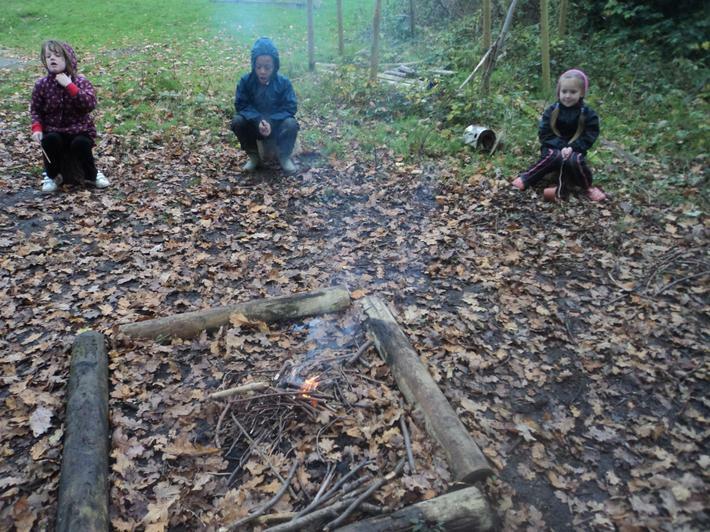 However, although Forest School allows children the freedom to be individuals and learn in their own way there are strict rules with regards to behaviour to ensure children's safety is not jeopardised. Further information about Forest School can be found in the document below.